How to know where you are in your evolutionary development as a product leader ? How to manage Cross-Functional Team Membership Across the Life Cycle ? How to clarify roles and responsibilities ? Problem How to clarify roles and responsibilities ? . 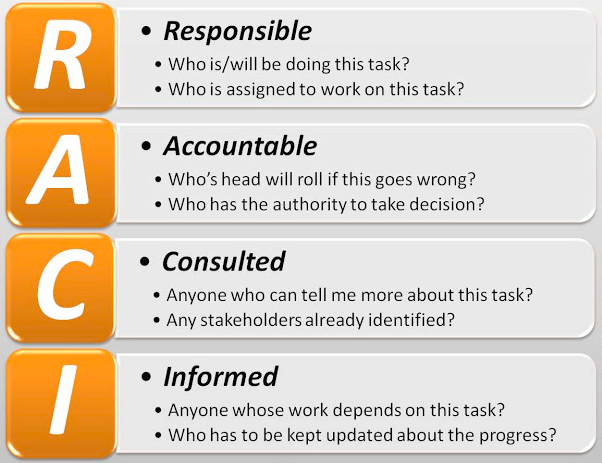 Action Use the RACI Matrix as a quick way to do so. Outcome A simple an easy method to keep stakeholders engaged and informed. Source: Haines, S. (n.d.). The Product Manager’s Desk Reference.